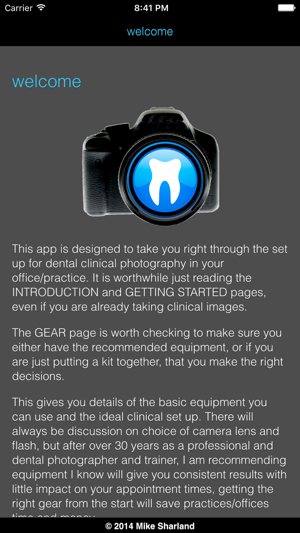 This app is aimed at the whole dental team, to give users details of the use of photography in the dental office/practice. 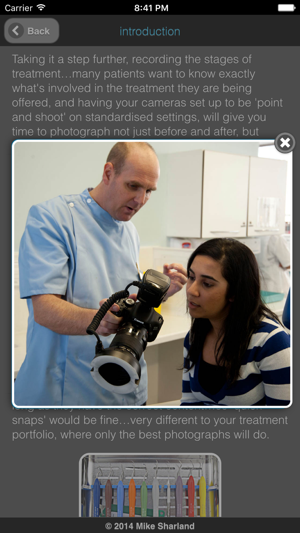 The app has been produced by Mike Sharland, dental photographer and trainer for over 30 years. 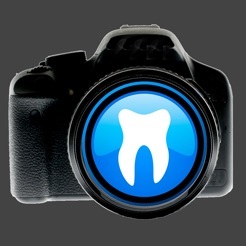 The settings on this app are THE ONLY SETTINGS WHICH WILL GIVE GUARANTEED CONSISTENT RESULTS FOR ALL YOUR DENTAL PHOTOGRAPHY. 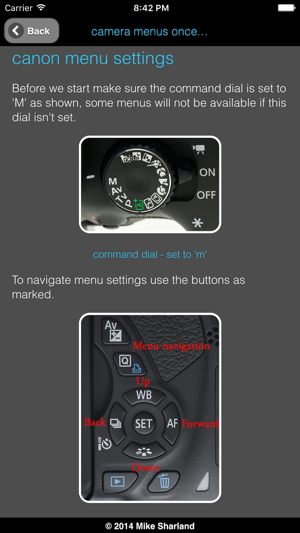 This app could save you time and money, associated support site is updated with latest camera, lens and flash options. The techniques pages will give you settings, focus points and troubleshooting for many of your standard views at chair side, image too dark or too light,image too large in the frame, settings for these are all at your fingertips, time is money and this will simplify your dental photography. Fixed problems with iOS 9.0 support. Great app, from setting my new camera up at the best settings to chair side help when photos aren't coming out as I hoped. 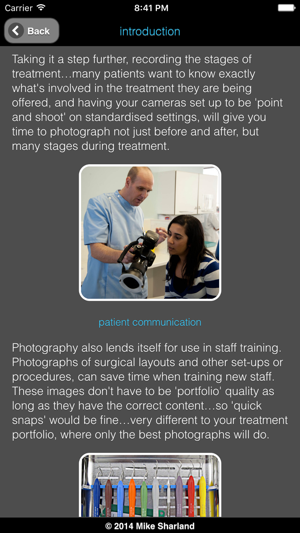 Really a must for everyone taking clinical photos. Support website really useful information too. I use dental photography on a daily basis and sometimes when l look at the photos they are not what l had hoped for. This app sorts those problems out. Often it is a simple setting that you have missed in your camera. Having this reference to hand saves a lot of heartache later on in the day when you look at your pictures and wished they were better. For those involved in any sort of educational courses this is a must to show consistency and reproducibility to your participants. Thanks to Mike Sharland for an excellent tool for all dentists! Great app, easy to navigate around and I find it really handy for troubleshooting and checking settings at the chair side.